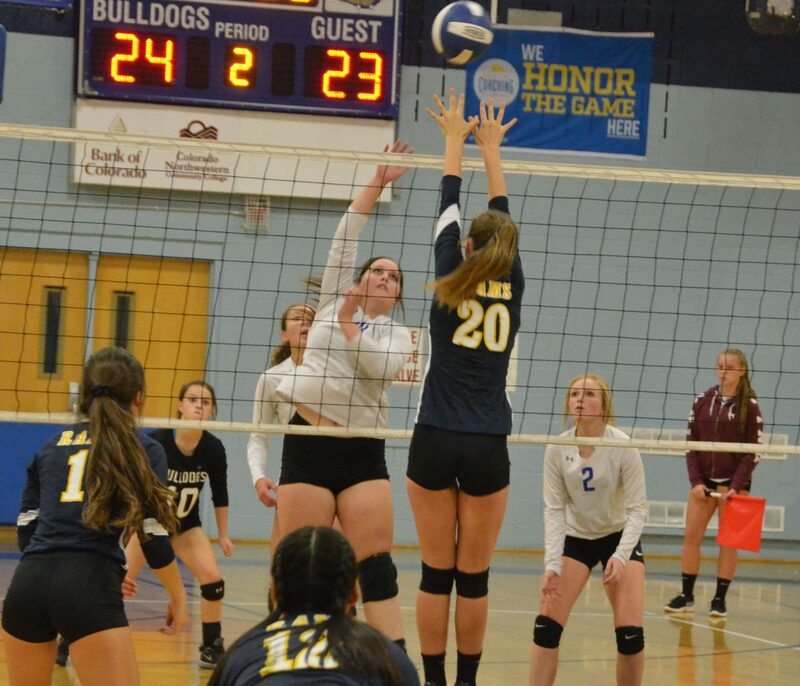 Moffat County High School's Taytum Smercina slams a spike against Roaring Fork at game point. Moffat County High School's Tiffany Hildebrandt goes into serve against Roaring Fork. 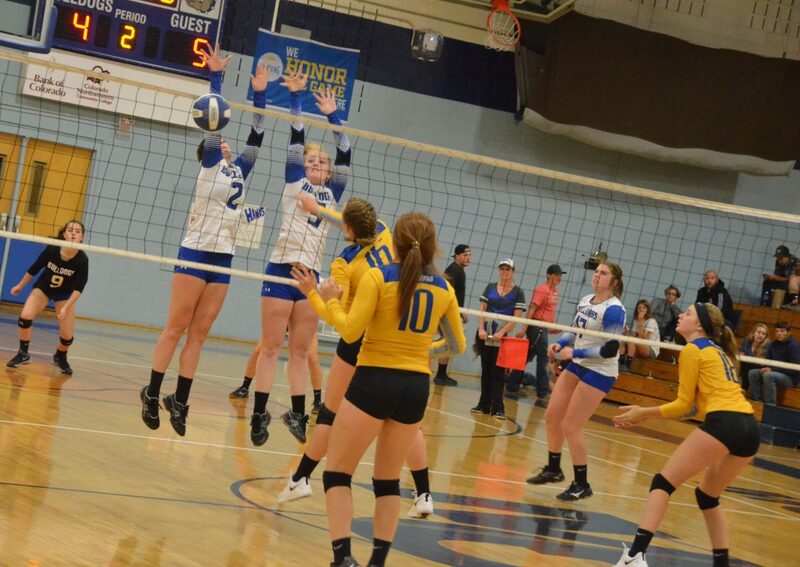 Moffat County High School's Bailey Lawton and Jaidyn Steele succeed in blocking a hit by Roaring Fork. Moffat County High School volleyball coaches look on as Eliana Mack gets a pass off during JV volleyball's game with Roaring Fork. Moffat County High School's Jenna Timmer gets a shot past the Roaring Fork block attempt Thursday. 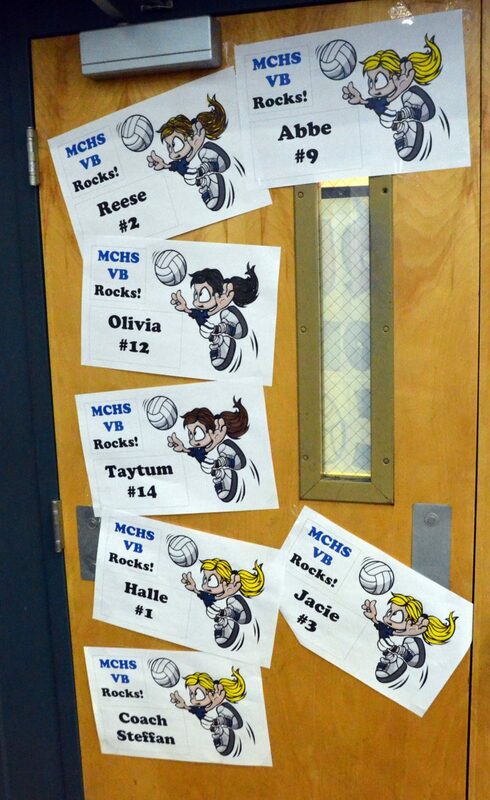 Homecoming signage celebrates Moffat County High School volleyball players on the gym doors. 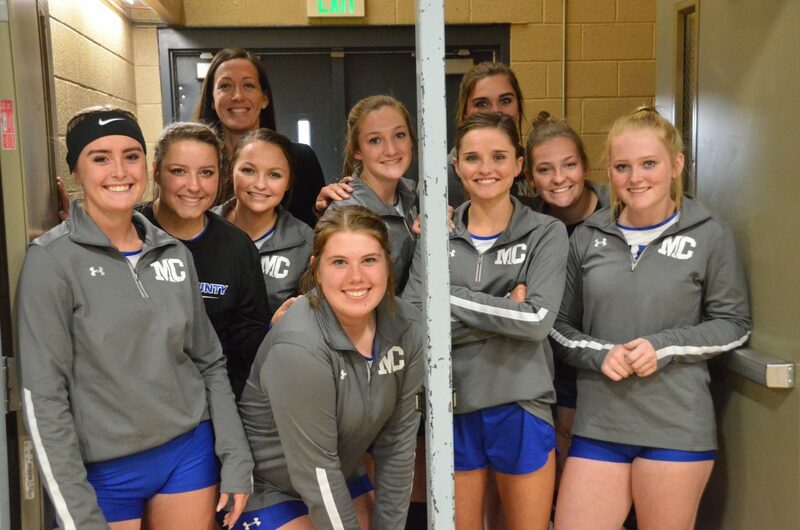 Moffat County High School volleyball coach Jessica Profumo and members of the varsity volleyball team await their entry into the gym as Bulldog JV finishes their game. 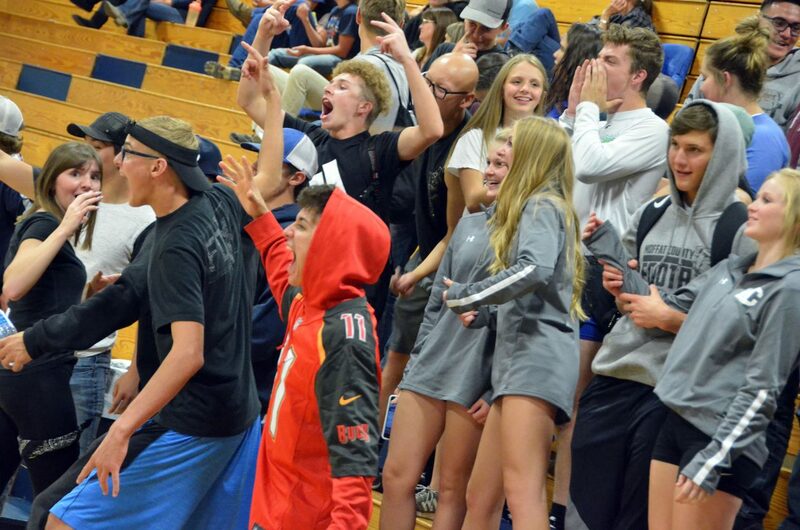 The Moffat County High School student section gets vocal during Bulldog varsity volleyball's game with Roaring Fork. Moffat County High School's Jaidyn Steele is set up for a solid shot against Roaring Fork. 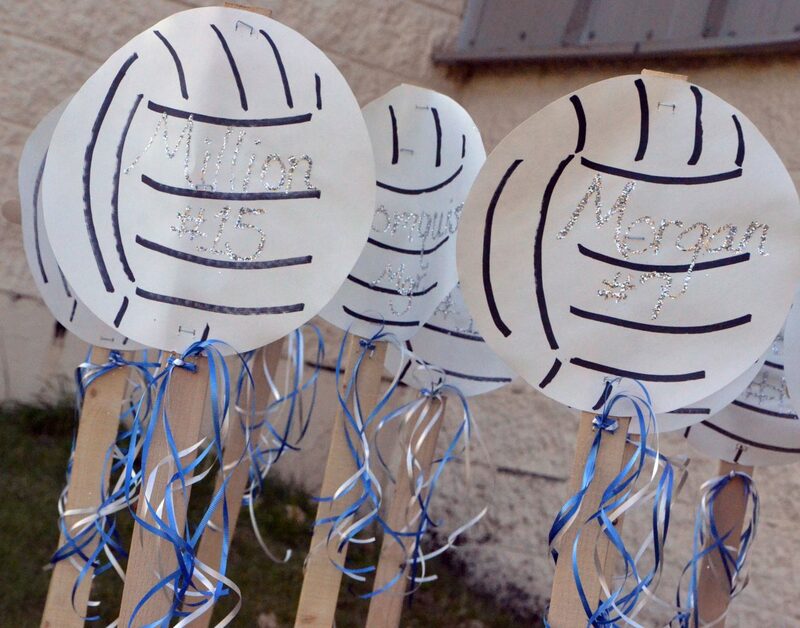 Homecoming signage celebrates Moffat County High School volleyball players at the entrance of MCHS. 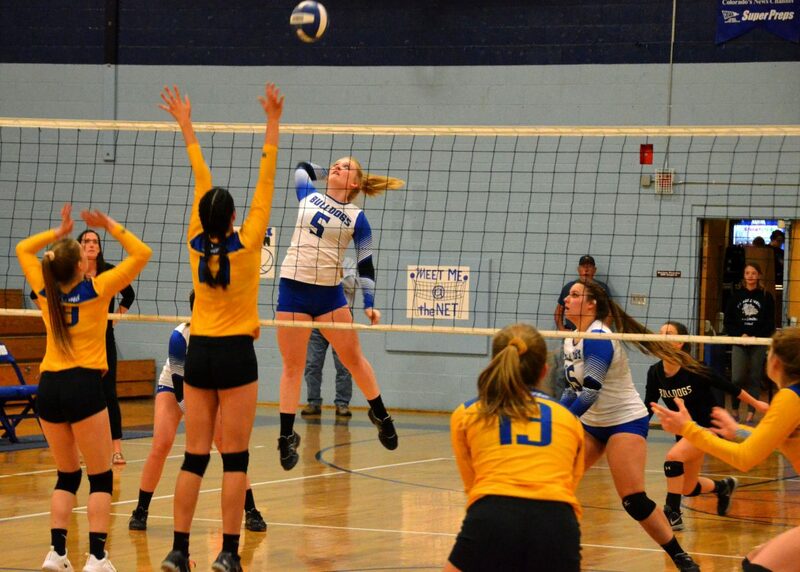 A better overall game compared to their last time on the court was on the agenda for Moffat County High School volleyball Thursday night, and though that box was ticked off the list, getting to the next item of business was harder than expected. 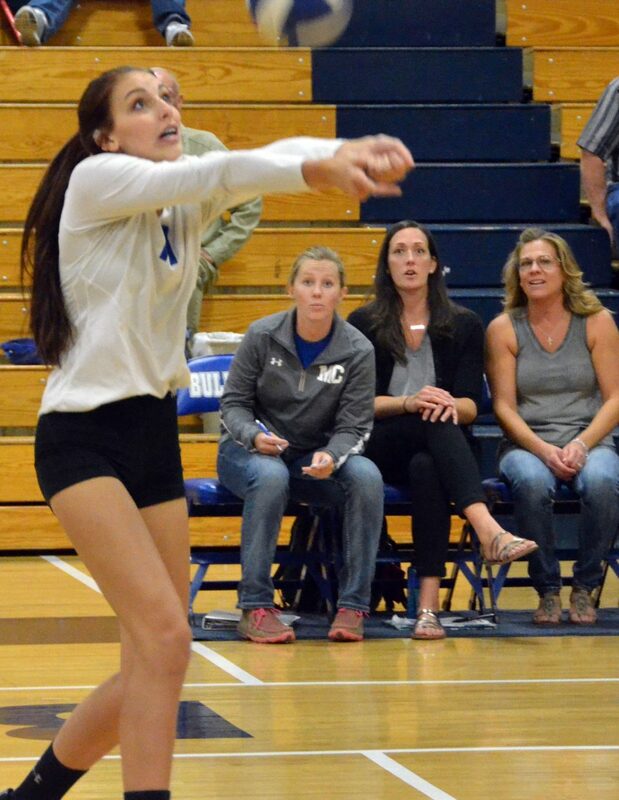 MCHS girls were swept in three sets by the Roaring Fork Rams during the first of two Homecoming week matches with losses of 25-13, 25-19 and 25-15. 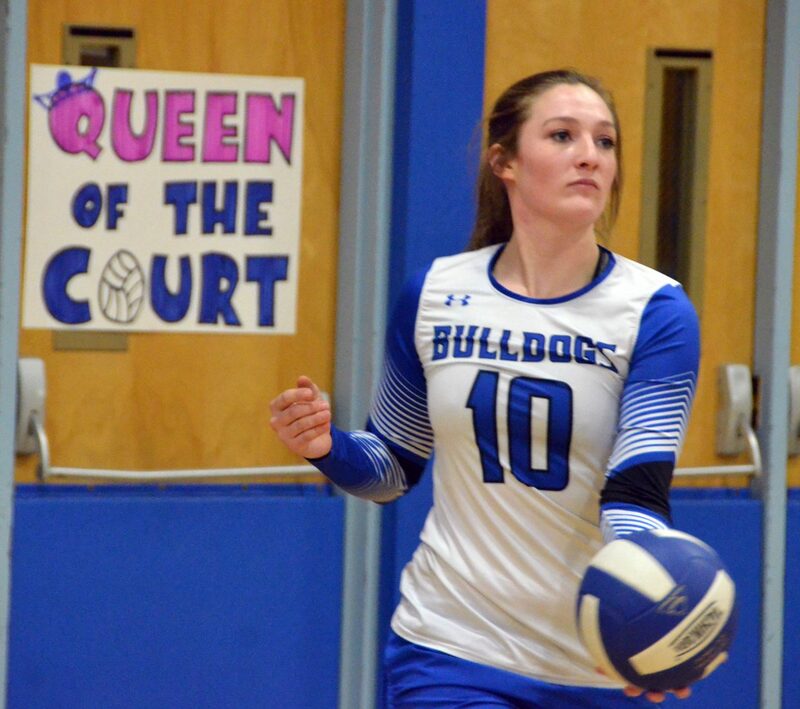 Service errors that began the game for both teams wound up being an indicator of an evening full of misfires, and while the Rams — whom the Lady Dogs beat 3-0 on two occasions last season — got a handle on their slip-ups, Moffat County was plagued by errors, 16 total from the line. 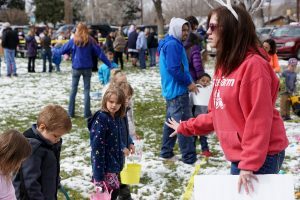 “I don’t know what that was, because they haven’t been doing that,” coach Jessica Profumo said. 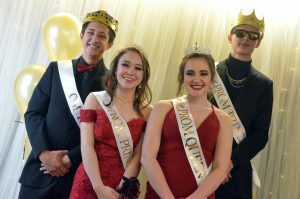 Profumo added that extra nerves during Homecoming may have been a factor. 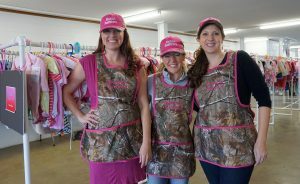 “There’s extra excitement but also extra exhaustion, so trying to balance those is kind of tricky,” she said. 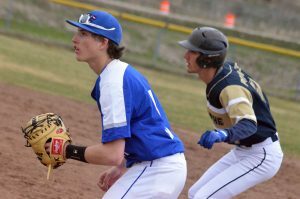 A slow start to the opening set got more complicated as Roaring Fork rode a 12-1 run to a 20-8 advantage to gain the upper hand mentally. Still, MoCo girls fought back in the second set, getting more fluid defensively with big blocks, paired with bigger spikes. 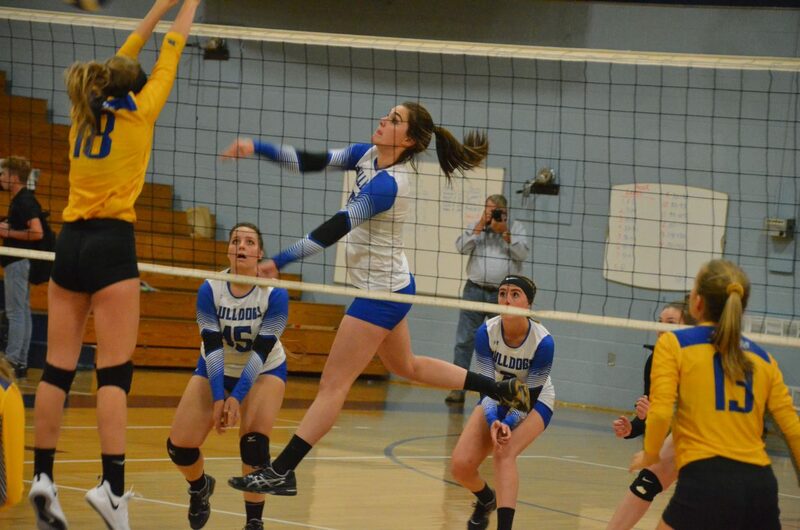 Jenna Timmer had five of the team’s 13 kills during the night, with Jaidyn Steele gaining three. 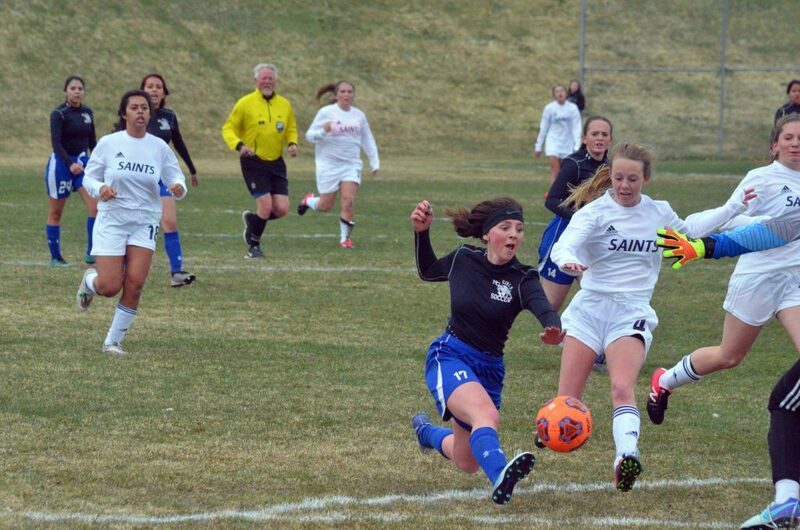 Timmer said the objective to improve over the previous Saturday’s game with Gunnison — also a 3-0 defeat — was important. The Rams rattled the Dogs enough to get on a roll in the final set, their biggest lead at 20-6, and while MCHS’s rally didn’t get them a fourth round, aces by Hailee Herndon, kills by Steele and one lengthy series of volleys after another showed the spark was still there. Profumo said one of the struggles on her end was matching up her girls against the Rams, as both teams cycled players in and out frequently, sometimes for just one point. 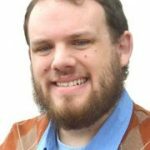 MCHS will have another chance at a Homecoming win when they host Olathe Friday afternoon starting at 3 p.m.